Don't just take our word for it. 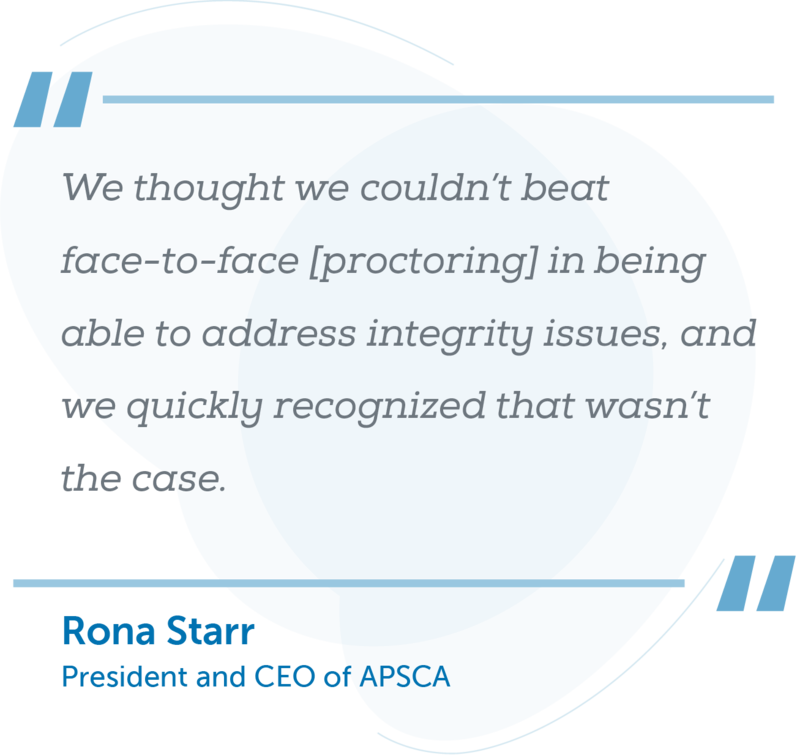 See what our clients, partners and test-takers have to say in their own words. What really drove us to ProctorU is their ability to safeguard our intellectual property. Their entire team has helped us realize our dream for what our certification can become. The best thing about my experience with ProctorU is that it didn’t impact my test-taking experience and it allowed me to take the exam from the comfort of my home. ProctorU has been instrumental in providing Temple College online students with a fee-based convenience option for taking proctored exams if they are unable to use our on-campus testing centers. The service is very reliable, secure and easy to use for both students and faculty. As an early adopter of Live+, we are extremely happy with our ability to better monitor the test-taking behavior of our students while also improving the test-taker experience. We have been a partner for many years and continue to be impressed with how ProctorU listens to our needs and continues to innovate to bring new and better solutions to the online education market. ProctorU makes it easy for me to take exams when I feel most prepared - whether it be at 11 at night or 7 in the morning. It's great! I also appreciate that the proctors are always pleasant and to-the-point. Taking an exam at home makes for a comfortable test-taking environment as well.